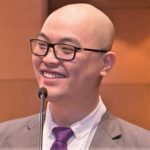 One year ago , Securities Commission Malaysia embarked on their blockchain pilot project in the unlisted and Over-the-Counter (OTC) markets. Having completed the pilot the regulator unveiled the blueprint today at the SCxSC Fintech Conference. Before diving into what the project entails and what it solves it’s worthwhile to take a look at what is an OTC market for the benefit for those who are unfamiliar. OTC refers to securities that’s traded outside of a formal exchange like Bursa Malaysia, this includes but is not limited ; bonds, derivatives and the recently introduced equity crowdfunding. Knowing that not all our readers are investment bankers we’ve included hyperlinks some helpful resources above if you are interested to find out more about these asset classes. 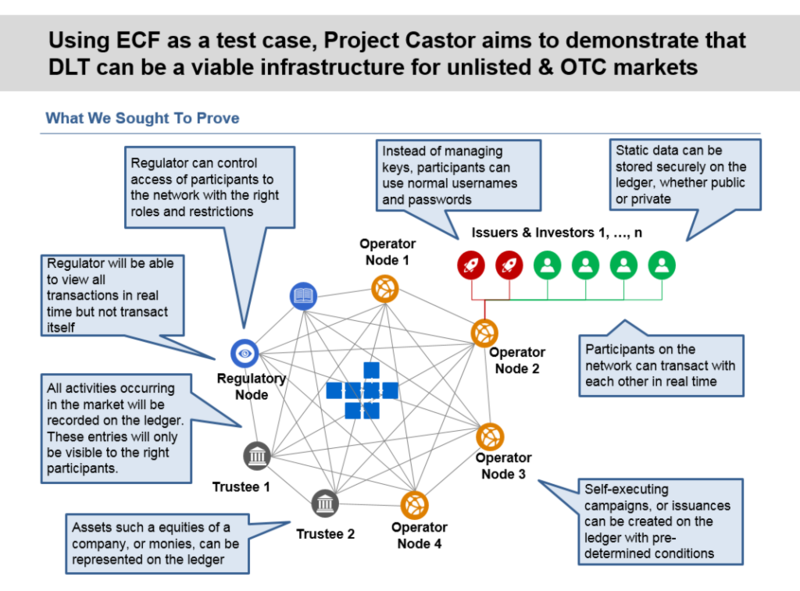 Dubbed as Project Castor, the pilot simulated the Equity Crowdfunding environment. 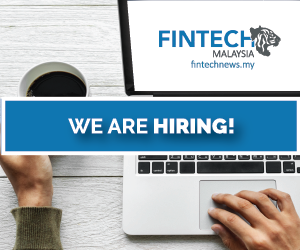 The project was lead by Securities Commission Malaysia with Neuroware, a home grown blockchain company as their technology partner. While the pilot is built on Ethereum with the ERC20 and ERC721 standards, Securities Commission considers the blueprint as a general guidance and it should serve as a jumping-off point for further and more in-depth considerations on specific implementation details. 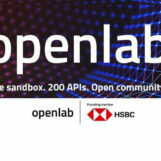 It is also important to note that operators dont necessarily need to have blockchain technology, they just need to be able to interface to the architecture. What does it aim to Solve? In the next segment of this article we look at are some the issues in the OTC space and how Project Castor demonstrates that some of these issues can be solved through blockchain. Chief among the challenges in the OTC market is the lack of transparency. Access to such markets is often gatekept by intermediaries which can often lead to information asymmetry which puts smaller players and retail investors at a disadvantage . 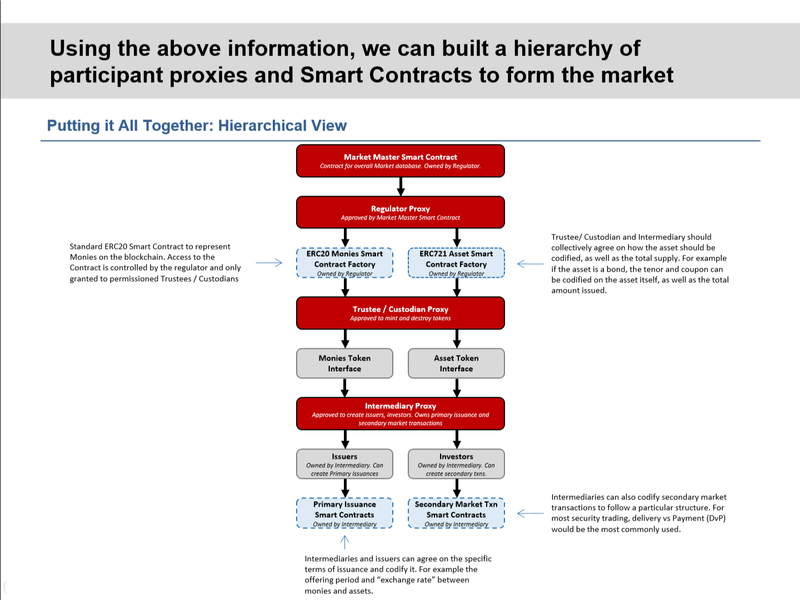 The features to build a decentralised, yet private network means buyers and sellers can connect directly with each other without the need for intermediaries. When the transactions are performed on the blockchain, with the right permissions, a participant on the network can view the entire transaction history of the particular instrument. This will lead to better price discovery and matching. Market operators often have to regularly submit data to the regulator be it for regulatory filing, reporting purposes or supervision. This method is deemed inefficient as not only it’s time consuming it also does not provide regulator with real-time data. 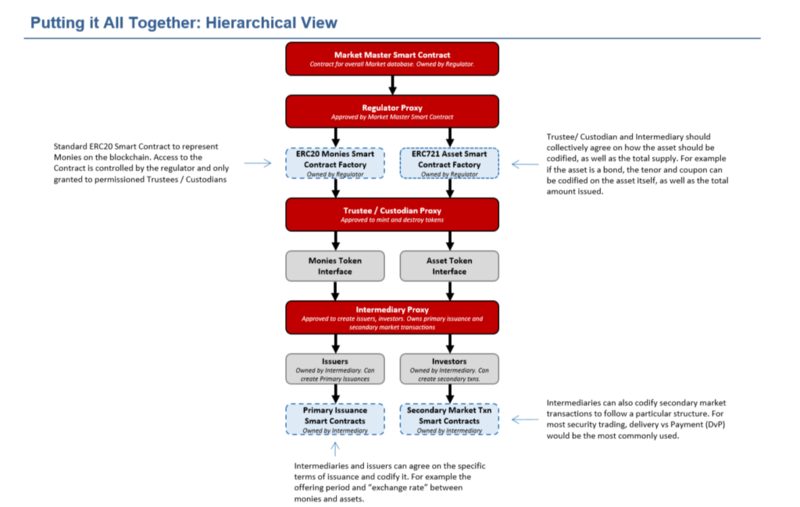 Based on the architecture of Project Castor, the regulatory node (pictured in the 2nd diagram above) will enable regulators to have a read-only access to view all transactions in real time. Which in turn will enable the regulator to better perform its duties and reduce the regulatory reporting burden on the industry. “Smart Contracts” on the blockchain can be used to codify any tailored or bespoke form of products, and are self-executing based on pre-defined criteria. Take for example Equity Crowdfunding, where only when a campaign is fully funded can funds be disbursed to the issuers. In this scenario the code can be conditioned to disburse to the issuers once it meets the fund raising requirement or to return the money to all the investors should the target not be met. Securities Commission Malaysia is firmly planting its position as a progressive regulator with forward looking initiatives from recent years ranging from equity crowdfunding, peer to peer financing, robo-advisory and finally Project Castor. On the ICOs front they have also shifted from the stance of buyers beware to coming up with a framework for ICO for Q1 of 2019.